Vigotendro was licensed at the Oldenburg Stallion Days in 2018. His pedigree combines high performance international blood. This son of Vigo d'Arsouilles is hard to beat in modernity. Strikingly beautiful and long-legged, Vigo presents himself like a future stallion in every situation. He radiates a special energy and serenity, Vigotendro is equipped with all the attributes of a future top athlete. Elastic movements with a very big canter, excellent technique over the jump and lots of scope. You cannot wish for more from this great prospect for the big sport. Vigo's sire, Vigo d’Arsouilles won the gold medal at the World Equestrian Games in Kentucky under Philippe Lejeune and made a significant contribution to the bronze medal of the Belgian team. The pair was placed in several Grand Prixs all over the world. During the last years, Vigo d’Arsouilles has become one of the new rising stars of German jumping horse breeding. A lot of 1.60m successful horse are by Vigo d’Arsouilles for example Vagabond de la Pomme, Go Easy de Muze, Dixson and Figo de Muze. Dam sire Contendro I is considered as one of the best Contender sons ever. He won his stallion performance test. In addition to his victory in the jumping section, he also received very high marks in dressage. Numerous Contendro children are internationally successful on S-level. The offspring of the all-rounder can also be found in the highest dressage classes and in international eventing courses. The most successful Contendro I offspring are Codex One (Christian Ahlmann), Holiday by Solitour (Carsten-Otto Nagel), Constantin B (Hans-Dieter Dreher), Hello Annie (Scott Brash) and Callahan (Gerco Schröder). In eventing, Mark Todd won Team Bronze at the 2012 Olympic Games with Campino. Andrew Hoy is internationally successful with Cheecky Calimbo. Contendro I is one of the few sires in the world who ranks among the top 20 in the WBFSH for jumping and eventing. 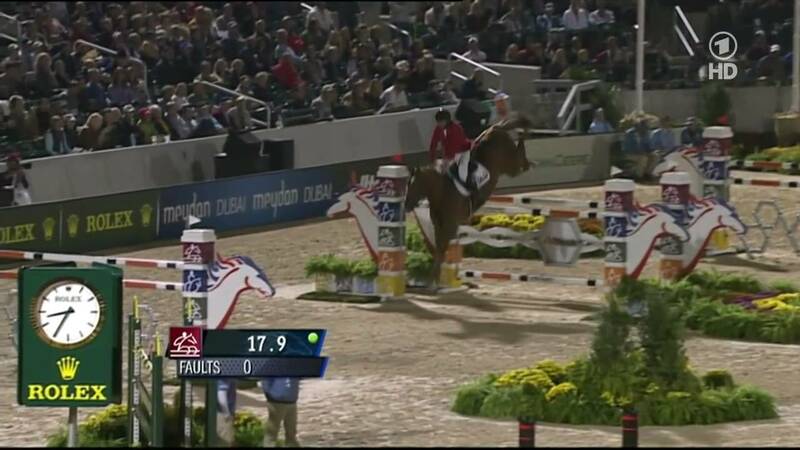 He is ranked on the 17th position the jumping rankings and number 1 of the eventing horses. Granddam La Belle produced the 1.55m successful jumper Casanova Junior by Carnando (James Paterson-Robinson). The dam line of Vigo has produced numerous internationally successful show jumpers like the S-successful Valencia of Quidam de Revel (Caitlin Ziegler), Calimero van´t Roth by Darco (Joseph Davison), C'est la vie by Cap Calando (Bernhard Pauly), CA Star by Quickstar (Gregory Robin); Corina by Corofino (Insa Dirks), My Lord by Malteser (Bernd Herbert) and Dynasty by Donnerhall (Monika Vogel) as well as the licensed stallion Eldorado va de Zeshoek by Clinton (Willem Greve). Vigotendro at the stallion show on 09/02/2019. Sire Vigo d'Arsouilles in the World Championships in Lexington 2010. 2019 is Vigotendro's first breeding season.